The collection of design paint canvases from HauteBrune ! 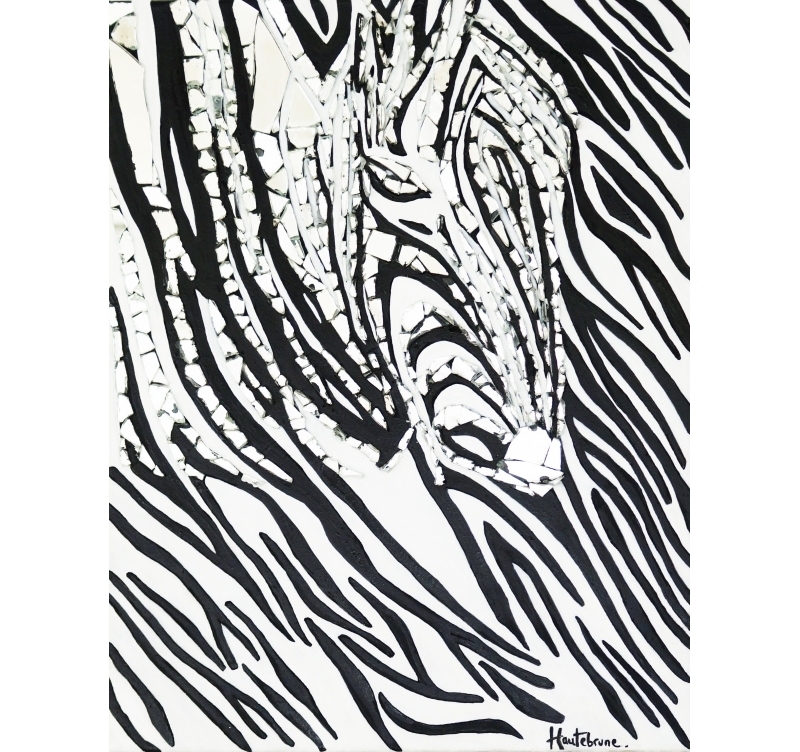 An abstract zebra on a design mirror paint canvas ! The dimensions of this artist wall canvas are 40 x 50 cm. Our artist is in charge of the safe delivery of this paint deco canvas. 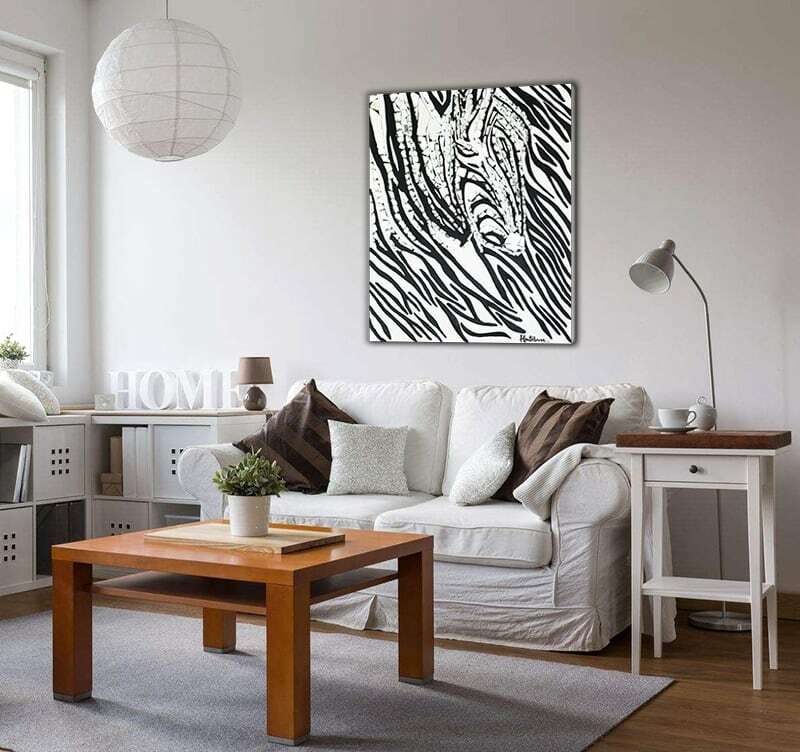 Discover the beautiful work of the design paint artist HauteBrune with this contemporary canvas that gives you an abstract definition of a zebra. 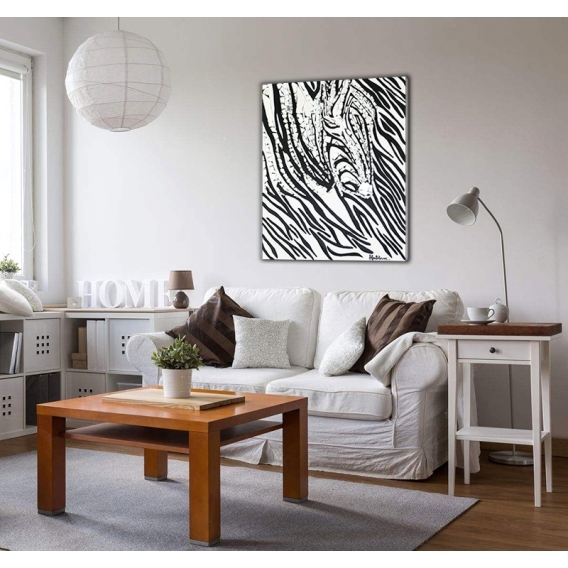 The black and white lines enhance the collage effect at the centre of the artwork that will brighten up your walls with an original painting canvas. The relief of this modern design canvas will perfectly fit in your interior decoration to be the centrepiece of your deco. This abstract paint canvas is delivered with its frame for an easy hanging-up on your walls and signed by the artist for the authenticity of this modern canvas. One copy only of this contemporary oil painting is available.